This was our shared book for Snack Attack today. It evoked detailed discussions and we had to record them down to share. If you have not read the book please do as the creativity of Neil Gaiman's writing is completely out of the square and Dave McKean is an excellent illustrator. 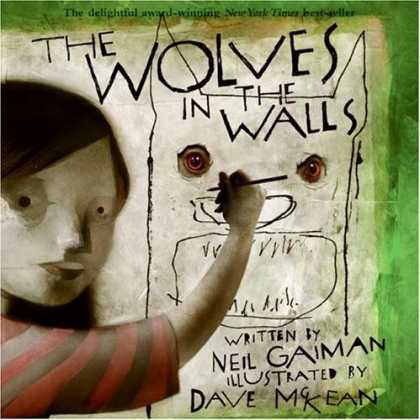 One of us suggested that a sequel might be 'Wolves in the Interactive Whiteboard' set in a classroom like ours. More thoughts to come as we were trying to think of a question that we could ask the author if we had an opportunity.